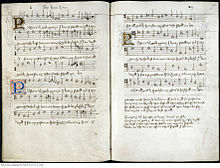 Musical score of "Pastime with Good Company", c. 1513, composed by Henry. ^ Gibbs (editor), Vicary (1912). The Complete Peerage, Volume III. St Catherine's Press. p. 443. CS1 maint: Extra text: authors list (link)Under Duke of Cornwall, which was his title when he succeeded his brother as Prince of Wales. Arnold, Thomas (2001). The Renaissance at War. London: Cassell & Co. ISBN 0-304-35270-5. Ashley, Mike (2002). British Kings & Queens. Running Press. ISBN 0-7867-1104-3. Ashrafian, Hutan (2011). "Henry VIII's Obesity Following Traumatic Brain Injury". Endocrine. 42 (1): 218–9. doi:10.1007/s12020-011-9581-z. PMID 22169966. Archived from the original on 2 January 2012. Bernard, G. W. (2005). The King's Reformation: Henry VIII and the Remaking of the English Church. ISBN 978-0-300-10908-5. Betteridge, Thomas (2005). "The Henrician Reformation and Mid-Tudor Culture". Journal of Medieval and Early Modern Studies. 35 (1): 91–109. doi:10.1215/10829636-35-1-91. Betteridge, Thomas; Freeman, Thomas S. (2012). Henry VIII in History. Ashgate Publishing, Ltd. ISBN 978-1-4094-6113-5. Brigden, Susan (2000). New Worlds, Lost Worlds. Penguin. ISBN 978-0-14-014826-8. Chibi, Andrew A. (1997). "Richard Sampson, His Oratio, and Henry VIII's Royal Supremacy". Journal of Church and State. 39 (3): 543–560. doi:10.1093/jcs/39.3.543. ISSN 0021-969X. Churchill, Winston (1966). The New World. History of the English Speaking Peoples. 2. Cassell and Company. Crofton, Ian (2006). The Kings and Queens of England. Quercus Books. ISBN 978-1-84724-141-2. Cruz, Anne J.; Suzuki, Mihoko (2009). The Rule of Women in Early Modern Europe. University of Illinois Press. ISBN 978-0-252-07616-9. Davies, Jonathan (2005). "'We Do Fynde in Our Countre Great Lack of Bowes and Arrows': Tudor Military Archery and the Inventory of King Henry VIII". Journal of the Society for Army Historical Research. 83 (333): 11–29. ISSN 0037-9700. Elton, G. R. (1962) . The Tudor Revolution in Government: Administrative Changes in the Reign of Henry VIII (Revised ed.). Cambridge University Press. ISBN 978-0-521-09235-7. Elton, G. R. (1977). Reform and Reformation: England, 1509–1558. Edward Arnold. ISBN 0-7131-5952-9. Farquhar, Michael (2001). A Treasure of Royal Scandals. Penguin Books. ISBN 0-7394-2025-9. Fraser, Antonia (1994). The Wives of Henry VIII. Vintage Books. ISBN 978-0-679-73001-9. Guicciardini, Francesco (1968). Alexander, Sidney (ed.). The History of Italy. Princeton University Press. ISBN 978-0-691-00800-4. Gunn, Steven (1991). "Tournaments and Early Tudor Chivalry". History Today. 41 (6): 543–560. ISSN 0018-2753. Guy, John (1997). The Tudor monarchy. Arnold Publishers. ISBN 978-0-340-65219-0. Guy, John A. (2000). The Tudors: a Very Short Introduction. Harrison, William; Edelen, Georges (1995) . The Description of England: Classic Contemporary Account of Tudor Social Life. Dover Publications Inc. ISBN 978-0-486-28275-6. Hays, J. N. (2010). The Burdens of Disease: Epidemics and Human Response in Western History. Rutgers University Press. ISBN 978-0-8135-4613-1. Hart, Kelly (2009). The Mistresses of Henry VIII (1 ed.). The History Press. ISBN 0-7524-4835-8. Hall, Edward (1904). The Triumphant Reign of Henry VIII. T.C. & E.C. Jack. Haigh, Christopher (1993). English Reformations: Religion, Politics, and Society under the Tudors. Clarendon Press. ISBN 978-0-19-822162-3. Hibbert, Christopher; Weinreb, Ben; Keay, Julia; Keay, John (2010). The London Encyclopaedia (3 ed.). ISBN 978-1-4050-4925-2. Hutchinson, Robert (2012). Young Henry: The Rise of Henry VIII. Macmillan. ISBN 978-1-250-01261-6. Ives, Eric (2005). The Life and Death of Anne Boleyn: 'The Most Happy'. Oxford: Blackwell Publishing. ISBN 978-1-4051-3463-7. Ives, Eric (2006). "Will the Real Henry VIII Please Stand Up?". History Today. 56 (2): 28–36. ISSN 0018-2753. Lehmberg, Stanford E. (1970). The Reformation Parliament, 1529–1536. Cambridge University Press. ISBN 978-0-521-07655-5. Lipscomb, Suzannah (2009). Who was Henry?. History Today. 59. Loades, David (2009). Henry VIII: Court, Church and Conflict. The National Archives. ISBN 978-1-905615-42-1. Meyer, G. J. (2010). The Tudors: The Complete Story of England's Most Notorious Dynasty. Presidio Press. ISBN 978-0-385-34076-2. Morris, T.A. (1999). Tudor Government. Routledge. ISBN 978-0-203-98167-2. Retrieved 20 March 2013. Pollard, A. F. (1905). Henry VIII. Longmans, Green & Company. Rex, Richard (1996). "The Crisis of Obedience: God's Word and Henry's Reformation". The Historical Journal. 39 (4): 863–894. doi:10.1017/S0018246X00024687. JSTOR 2639860. Scarisbrick, J. J. (1968). Henry VIII. University of California Press. ISBN 978-0-520-01130-4. Scarisbrick, J. J. (1997). Henry VIII (2 ed.). Yale University Press. ISBN 0-300-07158-2. Smith, Lacey Baldwin (1971). Henry VIII: the Mask of Royalty. ISBN 978-0-89733-056-5. Starkey, David (2003). Six Wives: The Queens of Henry VIII. Chatto & Windus. ISBN 978-0-7011-7298-5. Starkey, David (2008). Henry: Virtuous Prince. HarperCollins. ISBN 978-0-00-728783-3. Stöber, Karen (2007). Late Medieval Monasteries and Their Patrons: England and Wales, C.1300–1540. Boydell Press. ISBN 978-1-84383-284-3. Thomas, Andrea (2005). Princelie Majestie: The Court of James V of Scotland 1528–1542. John Donald Publishers Ltd. ISBN 978-0-85976-611-1. Thurley, Simon (1993). The Royal Palaces of Tudor England. Yale University Press. ISBN 978-0-300-05420-0. Weir, Alison (1991). The Six Wives of Henry VIII. Grove Press. ISBN 0-8021-3683-4. Weir, Alison (2002). Henry VIII: The King and His Court. Random House Digital, Inc. ISBN 0-345-43708-X. Whitley, Catrina Banks; Kramer, Kyra (2010). "A New Explanation for the Reproductive Woes and Midlife Decline of Henry VIII". The Historical Journal. 52 (4): 827. doi:10.1017/S0018246X10000452. ISSN 0018-246X. Wilkinson, Josephine (2009). Mary Boleyn: the True Story of Henry VIII's Favourite Mistress (2 ed.). Amberley Publishing. ISBN 0-300-07158-2. Williams, James (2005). "Hunting and the Royal Image of Henry VIII". Sport in History. 25 (1): 41–59. doi:10.1080/17460260500073082. ISSN 1746-0263. Williams, Neville (1971). Henry VIII and his Court. Macmillan Publishing Co. ISBN 978-0-02-629100-2. Bowle, John (1964). Henry VIII: a Study of Power in Action. Little, Brown and Company. Erickson, Carolly (1984). Mistress Anne: the Exceptional Life of Anne Boleyn. Cressy, David (1982). "Spectacle and Power: Apollo and Solomon at the Court of Henry VIII". History Today. 32 (Oct): 16–22. ISSN 0018-2753. Gardner, James (1903). "Henry VIII". Cambridge Modern History. 2. Graves, Michael (2003). Henry VIII'. Ives, E. W (2004). "Henry VIII (1491–1547)". The Oxford Dictionary of National Biography. Oxford University Press. Rex, Richard (1993). Henry VIII and the English Reformation. Ridley, Jasper (1985). Henry VIII. Starkey, David (2002). The Reign of Henry VIII: Personalities and Politics. Random House. ISBN 978-0-09-944510-4. Starkey, David; Doran, Susan (2009). Henry VIII: Man and Monarch. British Library Publishing Division. ISBN 978-0-7123-5025-9. Tytler, Patrick Fraser (1837). "Life of King Henry the Eighth". Edinburgh: Oliver & Boyd. Retrieved 17 August 2008. Weir, Alison (1996). The Children of Henry VIII. Bernard, G. W. (1986). War, Taxation, and Rebellion in Early Tudor England: Henry VIII, Wolsey, and the Amicable Grant of 1525. Bernard, G. W. (1998). "The Making of Religious Policy, 1533–1546: Henry VIII and the Search for the Middle Way". Historical Journal. 41 (2): 321–349. doi:10.1017/S0018246X98007778. ISSN 0018-246X. JSTOR 2640109. Bush, M. L. (2007). "The Tudor Polity and the Pilgrimage of Grace". Historical Research. 80 (207): 47–72. doi:10.1111/j.1468-2281.2006.00351.x. ISSN 0950-3471. Guy, John. The Children of Henry VIII (Oxford University Press; 2013) 258 pages; traces the lives of Edward VI, Mary I, Elizabeth I, and Henry Fitzroy, Duke of Richmond. Head, David M. (1982). "Henry VIII's Scottish Policy: a Reassessment". Scottish Historical Review. 61 (1): 1–24. ISSN 0036-9241. Hoak, Dale (2005). "Politics, Religion and the English Reformation, 1533–1547: Some Problems and Issues". History Compass (3). ISSN 1478-0542. Lindsey, Karen (1995). Divorced, Beheaded, Survived: A Feminist Reinterpretation of the Wives of Henry VIII. Reading, MA., US: Addison-Wesley Publishing Co. ISBN 0-201-60895-2. MacCulloch, Diarmaid, ed. (1995). The Reign of Henry VIII: Politics, Policy, and Piety. Mackie, J. D. (1952). 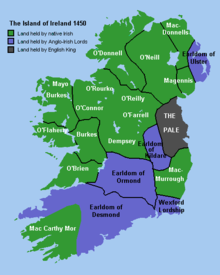 The Earlier Tudors, 1485–1558. Maloney, William J. (2015). Diseases, Disorders and Diagnoses of Historical Individuals. Anaphora Literary Press. ISBN 978-1-68114-193-0. Moorhouse, Geoffrey (2003). The Pilgrimage of Grace: the Rebellion That Shook Henry VIII's Throne. Phoenix. ISBN 978-1-84212-666-0. Moorhouse, Geoffrey (2007). Great Harry's Navy: How Henry VIII Gave England Seapower. Moorhouse, Geoffrey (2009). The Last Divine Office: Henry VIII and the Dissolution of the Monasteries. Murphy, Neil. "Violence, Colonization and Henry VIII's Conquest of France, 1544–1546." Past and Present 233#1 (2016): 13–51. Slavin, Arthur J, ed. (1968). Henry VIII and the English Reformation. Smith, H. Maynard (1948). Henry VIII and the Reformation. Thurley, Simon (1991). "Palaces for a Nouveau Riche King". History Today. 41 (6). Wagner, John A. (2003). Bosworth Field to Bloody Mary: An Encyclopedia of the Early Tudors. ISBN 1-57356-540-7. Walker, Greg (2005). 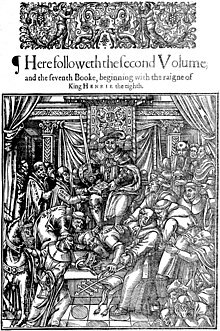 Writing under Tyranny: English Literature and the Henrician Reformation. Coleman, Christoper; Starkey, David, eds. (1986). Revolution Reassessed: Revision in the History of Tudor Government and Administration. Fox, Alistair; Guy, John, eds. (1986). Reassessing the Henrician Age: Humanism, Politics and Reform 1500–1550. Head, David M. (1997). "'If a Lion Knew His Own Strength': the Image of Henry VIII and His Historians". International Social Science Review. 72 (3–4): 94–109. ISSN 0278-2308. Marshall, Peter (2009). (Re)defining the English Reformation. Journal of British Studies. 48. pp. 564–85. Rankin, Mark, Christopher Highley, and John N. King, eds. Henry VIII and his afterlives: literature, politics, and art (Cambridge UP, 2009). Letters and papers, foreign and domestic, of the reign of Henry VIII (36 volumes, 1862–1908). 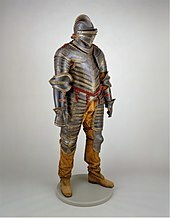 Henry VIII to Frederic, John, and George, Dukes of Saxony. January. 20, 1523 re: Luther. Wikimedia Commons has media related to Henry VIII of England. Catherine of Aragon was Queen of England from June 1509 until May 1533 as the first wife of King Henry VIII; she was previously Princess of Wales as the wife of Henry's elder brother Arthur. Cardinal Thomas Wolsey, Archbishop of York, Lord Chancellor of England, was an English bishop, statesman and a cardinal of the Catholic Church. When Henry VIII became King of England in 1509, Wolsey became the King's almoner. 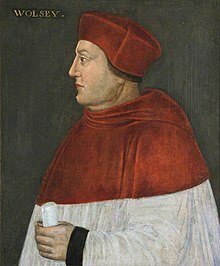 Wolsey's affairs prospered, and by 1514 he had become the controlling figure in virtually all matters of state and extremely powerful within the Church, as Archbishop of York, a cleric in England junior only to the Archbishop of Canterbury. 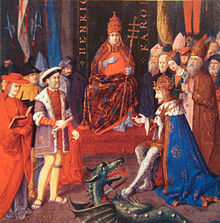 His appointment in 1515 as a cardinal by Pope Leo X gave him precedence over all other English clerics. The House of Tudor was an English royal house of Welsh origin, descended in the male line from the Tudors of Penmynydd. 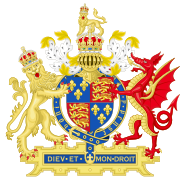 Tudor monarchs ruled the Kingdom of England and its realms, including their ancestral Wales and the Lordship of Ireland from 1485 until 1603, with five monarchs in that period. 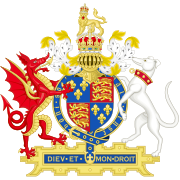 The Tudors succeeded the House of Plantagenet as rulers of the Kingdom of England, and were succeeded by the House of Stuart. 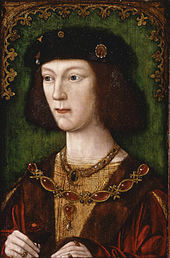 The first Tudor monarch, Henry VII of England, descended through his mother from a legitimised branch of the English royal House of Lancaster. The Tudor family rose to power in the wake of the Wars of the Roses, which left the House of Lancaster, to which the Tudors were aligned, extinct. 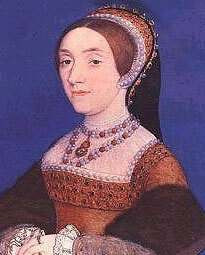 Anne Boleyn was Queen of England from 1533 to 1536 as the second wife of King Henry VIII. Henry's marriage to her, and her execution by beheading, made her a key figure in the political and religious upheaval that was the start of the English Reformation. Anne was the daughter of Thomas Boleyn, 1st Earl of Wiltshire, and his wife, Lady Elizabeth Howard, and was educated in the Netherlands and France, largely as a maid of honour to Queen Claude of France. 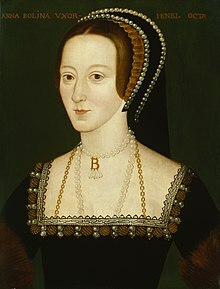 Anne returned to England in early 1522, to marry her Irish cousin James Butler, 9th Earl of Ormond; the marriage plans were broken off, and instead she secured a post at court as maid of honour to Henry VIII's wife, Catherine of Aragon. Anne of the Thousand Days is a 1969 British costume drama made by Hal Wallis Productions and distributed by Universal Pictures. It was directed by Charles Jarrott and produced by Hal B. Wallis. The film tells the story of Anne Boleyn. The screenplay is an adaptation by Bridget Boland, John Hale and Richard Sokolove of the 1948 play by Maxwell Anderson. Anderson employed blank verse for parts of his play, but most examples of this were removed from the screenplay. One blank verse episode that was retained was Anne's soliloquy in the Tower of London. The opening of the play was also changed, with Thomas Cromwell telling Henry VIII the outcome of the trial and Henry then recalling his marriage to Anne, rather than Anne speaking first and then Henry remembering in flashback. 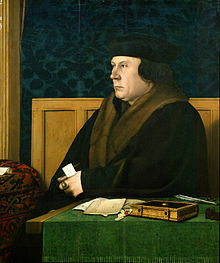 Thomas Cromwell, 1st Earl of Essex, was an English lawyer and statesman who served as chief minister to King Henry VIII of England from 1532 to 1540, when he was beheaded on orders of the king. Thomas Howard, 3rd Duke of Norfolk was a prominent English politician of the Tudor era. He was an uncle of two of the wives of King Henry VIII, namely Anne Boleyn and Catherine Howard, both of whom were beheaded, and played a major role in the machinations affecting these royal marriages. After falling from favour in 1546, he was stripped of the dukedom and imprisoned in the Tower of London, avoiding execution when Henry VIII died on 28 January 1547. George Boleyn, 2nd Viscount Rochford was an English courtier and nobleman, and the brother of queen consort Anne Boleyn. This made him the brother-in-law of King Henry VIII and the maternal uncle of Queen Elizabeth I of England. 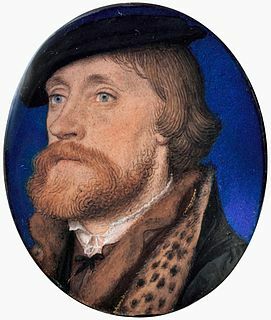 Thomas Wriothesley, 1st Earl of Southampton, KG was an English peer, secretary of state, Lord Chancellor and Lord High Admiral. A naturally skilled but unscrupulous and devious politician who changed with the times and personally tortured Anne Askew, Wriothesley served as a loyal instrument of King Henry VIII in the latter's break with the Catholic church. 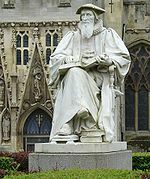 Richly rewarded with royal gains from the Dissolution of the Monasteries, he nevertheless prosecuted Calvinists and other dissident Protestants when political winds changed. Henry VIII is a collaborative history play, written by William Shakespeare and John Fletcher, based on the life of King Henry VIII of England. An alternative title, All Is True, is recorded in contemporary documents, the title Henry VIII not appearing until the play's publication in the First Folio of 1623. Stylistic evidence indicates that individual scenes were written by either Shakespeare or his collaborator and successor, John Fletcher. It is also somewhat characteristic of the late romances in its structure. It is noted for having more stage directions than any of Shakespeare's other plays. The Other Boleyn Girl (2001) is a historical novel written by British author Philippa Gregory, loosely based on the life of 16th-century aristocrat Mary Boleyn of whom little is known. Inspired by Mary's life story, Gregory depicts the annulment of one of the most significant royal marriages in English history and conveys the urgency of the need for a male heir to the throne. Much of the history is highly distorted in her account. The Tudor period is the period between 1485 and 1603 in England and Wales and includes the Elizabethan period during the reign of Elizabeth I until 1603. The Tudor period coincides with the dynasty of the House of Tudor in England whose first monarch was Henry VII. In terms of the entire span, the historian John Guy (1988) argues that "England was economically healthier, more expansive, and more optimistic under the Tudors" than at any time in a thousand years. 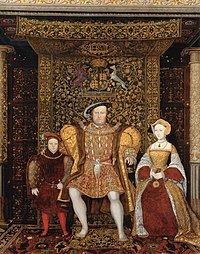 In legal terms, King Henry VIII of England had only three wives, because three of his putative marriages were annulled. Unlike a divorce, where a married couple chooses to end their union, annulments essentially declare that a true marriage never took place. However, in common parlance, the so-called wives of Henry VIII were the six queens consort wedded to Henry between 1509 and his death in 1547. The Tudors is a historical fiction television series set primarily in the 16th-century Kingdom of England, created and entirely written by Michael Hirst and produced for the American premium cable television channel Showtime. The series was a collaboration between American, British, and Canadian producers, and was filmed mostly in Ireland. Although named after the Tudor dynasty as a whole, it is based specifically upon the reign of King Henry VIII. Henry VIII is a two-part British television serial produced principally by Granada Television for ITV from 12 to 19 October 2003. It chronicles the life of Henry VIII of England from the disintegration of his first marriage to an aging Spanish princess until his death following a stroke in 1547, by which time he had married for the sixth time. Additional production funding was provided by WGBH Boston, Powercorp and the Australian Broadcasting Corporation. Henry VIII and His Six Wives is a 1972 British film adaptation, directed by Waris Hussein, of the BBC 1970 six-part miniseries The Six Wives of Henry VIII. 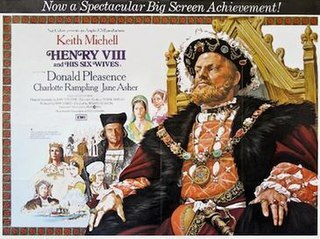 Keith Michell, who plays Henry VIII in the TV series, also portrays the king in the film. His six wives are portrayed by different actresses, among them Frances Cuka as Catherine of Aragon, and Jane Asher as Jane Seymour. Donald Pleasence portrays Thomas Cromwell and Bernard Hepton portrays Archbishop Thomas Cranmer, a role he had also played in the miniseries and briefly in its follow-up Elizabeth R.
Catherine Howard was Queen of England from 1540 until 1541, as the fifth wife of Henry VIII. 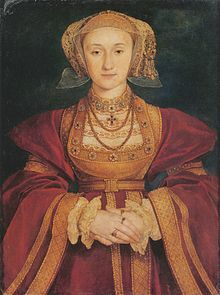 She married him on 28 July 1540, at Oatlands Palace, in Surrey, almost immediately after the annulment of his marriage to Anne of Cleves was arranged.